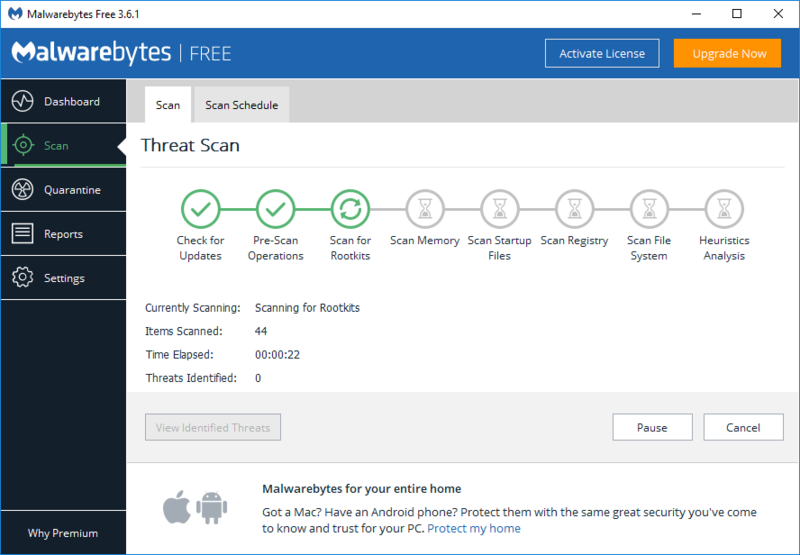 Install Malwarebytes Anti-Malware Free. 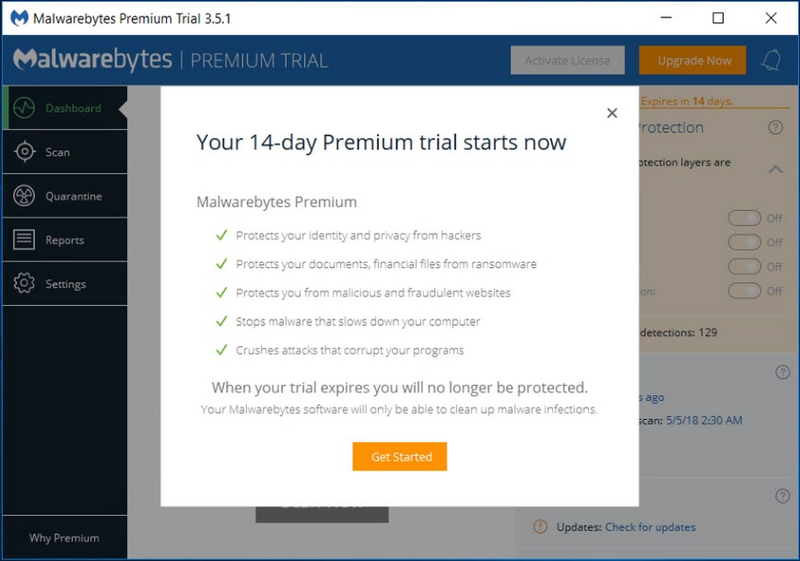 Click here: https://www.malwarebytes.com/mwb-download/thankyou/ (accurate link as of 02/19/2019) to download. 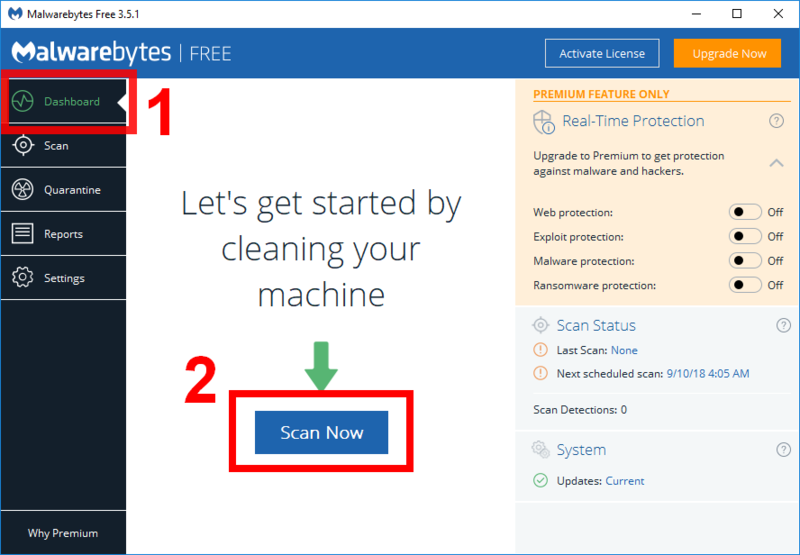 Run the downloaded file (if it does not run automatically) to install Malwarebyates Anti-Malware. It should start running and give you a window automatically after installation. If not, find it in the start menu and run it. 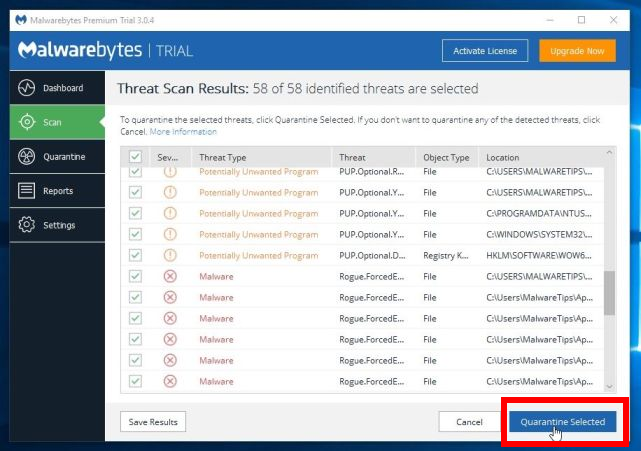 Malwarebyates Anti-Malware also appears in the “system tray” which is the extreme lower right of your screen, on the right side of the taskbar/icon bar. (This taskbar is the one which has the start menu button on its extreme left.) You can show it through there. 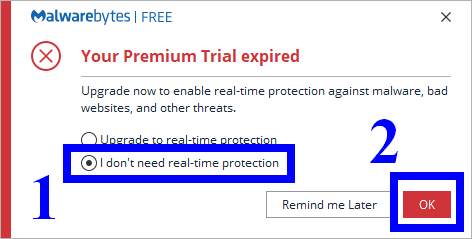 Click OK to get thru the trial notification (we’re going to turn that off soon). Now there are two (2) settings to change from the defaults. 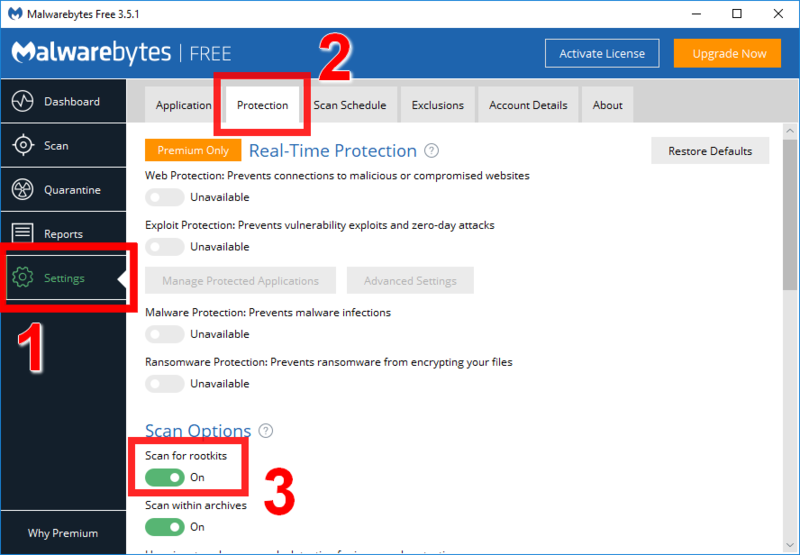 Once Malwarebyates Anti-Malware is running, go into its Settings tab on the left, then the Protection and turn on Scan for rootkits. Back to the Settings tab on the left, this time the Account tab on the top, and then click the Deactivate Premium Trial at the bottom. 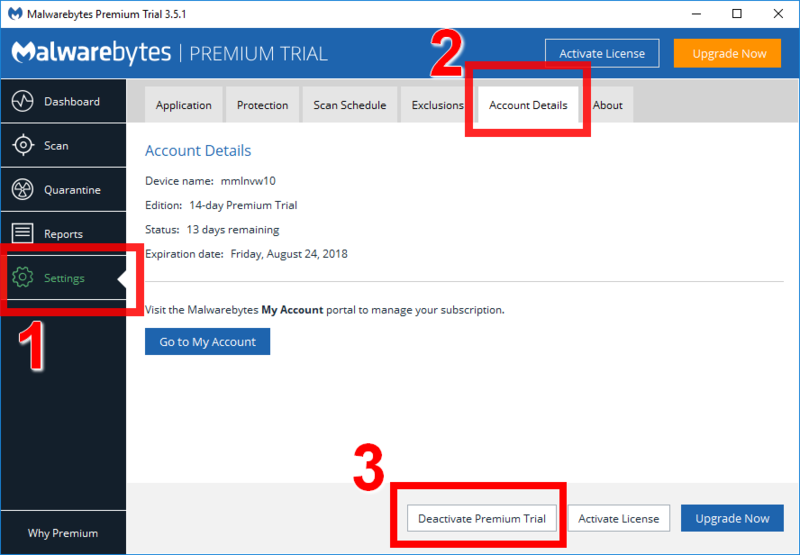 After Malwarebytes Anti-Malware finishes, you can go into its system tray icon and right-click and turn off Start with Windows, and also click Quit Malwarebytes. It will probably give a security prompt–just click OK. It doesnt hurt to keep it running, but it’s not really doing anything. Just re-start it when you want to scan again (eg, weekly). Now it takes a registry hack. In there, find the right key name (eg: “VID_046D&PID_C52F&MI_00“) and under that, Device Parameters\FlipFlopWheel set from 0 to 1. MS bills its “Office 365” as a “cloud suite”. Actually, it includes the regular old desktop programs of Office 2016 (Word, Excel, Powerpoint, and in some versions Outlook). In a 2016 review of Google’s G Suite business subscription service, Eric Grevstad of PC Magazine stated that Google Docs follows the “80/20” rule: “that is, 80 percent of users will never need more than 20 percent of the features”. I would like to modify that somewhat. While he says “will never need” I think that’s a stretch. I think it’s more accurate to say “80 percent of the time users will only need 20 percent of the features.” The way this new view plays out, is that if you use Google Docs, once a year or so, you will run into a situation in which you need features Google Docs does not offer. That’s more what I experience from users in real life. As I said in the “Summary” above, if you use Google, once a year or so, you will need some more complex / advanced feature that is in Microsoft Office but not Google Docs. There’s always a workaround, with some additional effort and inconvenience. Educated guess, but I believe MS Office protects your privacy more than Google. Here’s my reasoning. These aren’t proofs–just educated guessing and reasoning. MS is less motivated financially to sell your content to advertisers or private investigators. Because you pay for MS Office. They have a buisness model where they get paid for the software they produce. Google’s only business model is to sell advertising based on your content. So it is an urgent need, a matter of corporate survival for them to violate your privacy. This one seems backwards, but stay with me. MS was criticzied for their handling of privacy because they published visibly that they would turn over your Office 365 (OneDrive) content to law enforcement authorites without your consent or notification. This is true of ALL companies, because of the Patriot Act in the United States. So I give MS *credit* on privacy for being visible about this, instead of hiding it like other companies. It makes me trust them a smidgen more on privacy. Last buy not least, MS Office supports a fully offline model, with all files stored on your local hard disk, instead of in the cloud (MS OneDrive). These files are much less likely to be scanned. Since MS Office 365 (or the desktop apps) run on your desktop, you can be fully operational without an internet connection. Eg, on a plane. Or the day that your ISP goes down. Or if the power goes out (assuming you have laptop battery to keep working, and assuming you don’t have battery backup or generator backup for your internet connection). Offline, desktop acces model in MS Office also means you can use them with almost any cloud storage (Dropbox, Box.com, SugarSync) in addition to MS’s own OneDrive. Can not do that with Google Docs because there is no way to work on local files. You can download offline files out of Google Docs, for storage and back. And you can edit them locally. With what? MS Office? Might as well have just used MS Office in the first place. You could edit them with the free LibreOffice and get close to the MS Office experience. The disadvantage is that you’re working in two different interfaces, and LibreOffice is not quite as powerful as MS Office. Or using only the Chrome Browser, and a Chrome extension “Google Docs Offline” you can edit offline with Google. in Google Docs, if in Firefox or Internet Explorer, you have to dowload as a PDF to print. Using the browser print will make it print like a web page, not a document. In the Chrome browser (only) Google Docs print normally. Reports (I can’t confirm) that advanced printing is not available in Google Docs (but they’re upgrading all the time). Google Docs can’t handle HUGE data sets, eg, > 2 million (was: 400K) cells in a spreadsheet. Presented below is a table of comparative network speeds. It is important to know the relative speeds when making purchase decisions on networking. It is also important to know that network speeds are subject to the principal that they only run as fast as their slowest link. They’re subject to bottlenecks. For example, no matter how fast your in-building wired Ethernet or WiFi/Wireless speed is, your speed to the public Internet is likely limited to the speed your broadband provider gives you. It provides no benefit to upgrade your internal network, without also upgrading your bandwidth provider with a faster (more expensive) service. On the other hand, in-building computer-to-computer or computer-to-device or client-server traffic does not touch the global Internet, and doesnt depend on your provider’s bandwith. There was a time where “wired” was faster than “wireless” but with new innovations in Wirless N and Wireless ac (802.11n, 802.11ac) standards, that’s no longer true. However, BOTH ends (pc, router) have to support the standard to achieve that speed. And laptops sometimes skimp on the WiFi. Connects the network in your building to the outside world, the wider public internet, the WAN (wide-area network). Typically provided by a cable or phone company, eg, Comcast, Time-Warner, Optimum. Wired networking. Eg, cat5 cables and RJ45 wall outlets. To/From the Wireless Network Adapter (NIC) in your laptop, printer, smartphone, tablet over the air to the wireless router, often provided by your broadband provider. SmallNetBuilder has good educational materials on routers, WiFi, and speed tests and rankings of routers. then restore or redeploy that image on another PC. The COA SLP key is a backup to the OEM SLP key. The only difference if you change to the COA SLP key is that you would be required to Activate by Phone. that puts the image in “OOBE” (Out Of Box Experience) mode. So it loads drivers at start. And maybe otherwise diassociates from particular hardware. What you can do is a little trick I learned. If you didn’t know, Windows has a tool called “SysPrep” which dissociates the Windows installation with the hardware it was installed on. You can then transfer this hard drive to a brand new machine, and Windows boots up as if it’s being used for the first time. It will prompt you to create a new user account, but you can log into the original/old user account you already have and delete it later. What I’ve done is do a brand new, fresh Windows installation and installed all of the programs I like to use on it, getting everything configured the way I like. Then I use SysPrep to put the computer into “OOBE” (Out Of Box Experience) mode, which performs the aforementioned driver stripping. After that, I pull that hard drive out of the computer and put it in an external HDD enclosure or carriage hooked up to another computer. On that computer, I use Macrium Reflect to create an image file of that SysPrep’d drive, and store that image file somewhere safe. So now, whenever I need to install a fully-configured Windows 7 to another computer entirely, I just take the hard drive that’s going to be in that computer and use Macrium to restore that image to the hard drive, at which point I will use totally-not-unscrupulous-and-illegal methods (coughRemovecoughWATcough) to bypass the authentication software. There’s still a problem somewhere – you have an error I’ve only ever seen once before. Script execution time was exceeded on script “C:\Windows\system32\slmgr.vbs”. I suspect that there’s some minor corruption preventing proper function…. Please first try recreating the Licensing Store. For systems shipped with Windows XP, Windows Vista and Windows 7 a Code of Authenticity (COA) with a 25 digit product key was shipped affixed to the system. There was a change in print quality of the COA when Windows Vista was released which made the COA prone to fading. As a consequence for most Windows 7 systems the COA was Placed in the Battery Compartments of Laptops to Reduce the Problem of Fading. What is Original Equipment Manufacturer System Locked Preinstallation Activation? Microsoft Major Partner OEMs preinstalled Windows 7 on millions of machines. In order to save production time these Major OEM licenses utilised a BIOS based activation mechanism and as a consequence the key on the COA is typically not used for Windows Installation. The system BIOS of Windows 7 OEM will contain a SLIC of version 2.1. Microsoft’s Minor OEMs are small scale OEMs that sell a low volume of machines. These licenses known as Commercial OEMs do not apply OEM System Locked Preinstallation. Motherboards with Commercial OEM Licenses will not contain a SLIC. Instead of using this unique 25 digit product key on the COA for installation an OEM System Locked Preinstallation (SLP) Key is input by Dell Branded Reinstallation Media. In essence the System Locked Preinstallation (SLP) Key must match up to the System License Internal Code (SLIC) incorporated in the systems BIOS for System Locked Preinstallation (which is automatic offline Product Activation) to be applied. This means you can still use OEM SLP to activate Windows 7 OEM even if your COA has Faded. Windows 7 Pro OEM SLP can also be used for Downgrade Rights from Windows 10 Pro or Windows 8.1 Pro. In this case the OEM is Dell and the SLIC Version is 2.1. 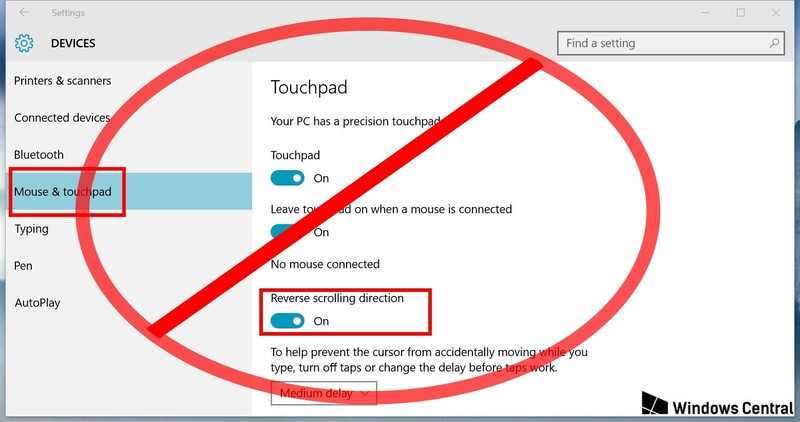 The example I used was from a Dell Latitude 7350 shipped with Windows 8.1 Pro. It doesn’t have a Windows 7 Pro COA but is eligible to run Windows 7 Pro using OEM Downgrade Rights. An Inspiron 7347 shipped with Windows 8.1 (Home) and hence doesn’t have any OEM downgrade rights. It has no SLIC tab and hence Windows 7 cannot be activated by use of OEM SLP. Systems sold with Windows Vista OEM in the period of 6 months before the release of Windows 7 may have an SMBIOS of 2.5 with an original SLIC version of 2.0. The latest BIOS update won’t change the SMBIOS which will remain at 2.5 however it may update the SLIC version to 2.1. The OptiPlex 760 for example has a SLIC version of 2.1 with its latest BIOS Update so the Free Upgrade to Windows 7 may be taken (documented in detail here) but the OptiPlex 755 was sold just a wee bit earlier and retains a SLIC version of 2.0 even with its latest BIOS Update. I have listed the latest BIOS Update for systems with an SMBIOS of 2.5 here (please comment to let me know what SLIC version your system has with its latest BIOS update as it may help others). Note RWEverything doesn’t state the Edition of Windows 7 to be installed. In testing the SLIC seems not to be Edition specific. To be licensed correctly you should match the Edition on the Windows Vista/Windows 7 COA. The SLP keys and Product IDs are generic every single Dell system shipped with Windows 7 Pro OEM will have the Product Key 00371-OEM-8992671-00524. The SLP key associated with this is 32KD2-K9CTF-M3DJT-4J3WC-733WD. This Product Key can only be used for OEM SLP and cannot be used for conventional activation. If Windows 7 has been activated by the 25 Digit Product Key on the COA the Product ID will contain OEM but not 899. One should verify whether a SLIC exists in the system BIOS or not. Major OEM Installation Media e.g. a Dell Windows 7 Reinstallation DVD will automatically Apply OEM SLP Activation without asking for a Product Key. Windows 7 Retail Installation Media and Windows 7 Commercial (Minor) OEM Installation Media won’t automatically apply OEM SLP Activation and instead ask for a Product Key. Unfortunately Major OEM Installation Media was not Downloadable while Windows 7 Retail Installation Media and Windows 7 Commercial OEM Installation is Made Readily Available to Download. OEM customers are hence forced to Download the Retail Installation Media or Commercial OEM Installation Media, Install Windows 7 by Skipping Input of their Product Key and Manually Apply OEM SLP. This will install Windows 7 without a Product Key allowing a 30 day trial. One can check the Product ID and Activation status in system (go to Start, Right Click Computer and Select Properties). They should see that Windows 7 is not activated. If you’re behind a router (and most people are) then ipconfig.com will give your LAN address–local to your building, but not your WAN address–the IP address that websites see you as. The most common way to find your WAN IP address is http://whatsmyip.net. Notice the dot (“.”) after myip.opendns.com. That prevents it getting appended.